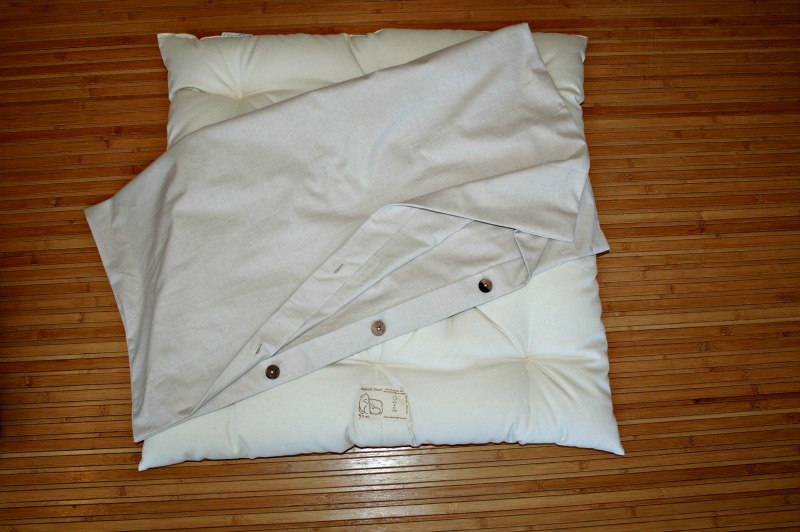 Our Meditation Pillow is filled with Premium Eco Wool batting and encased in a soft organic cotton. 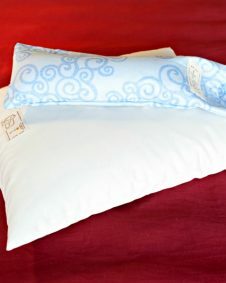 The pillow comes with a washable organic cotton cover with button enclosure. This Meditation Pillow provides superior comfort for extended periods of floor sitting and assists in maintaining good posture. Wool is the ideal material to use when meditating as it offers breath-ability and it naturally relieves body aches and pains. 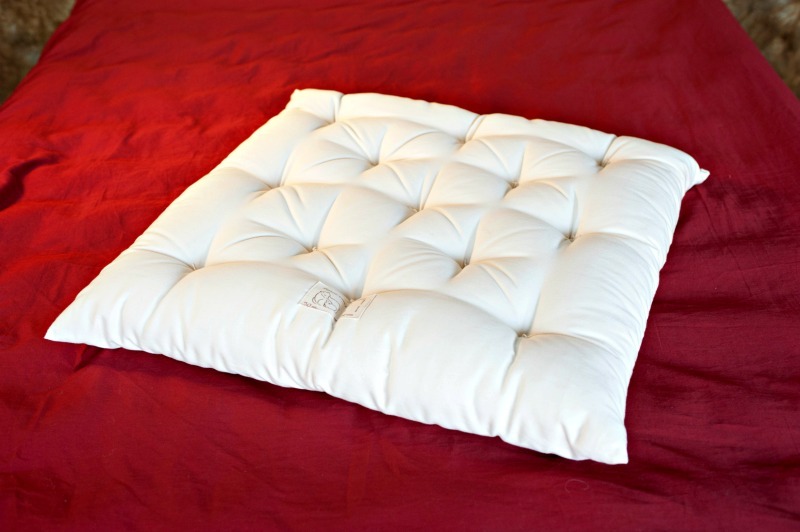 Our Meditation Pillow is made with the finest natural materials and tufted throughout for even compression. Filled with premium Eco Wool and encased in a soft organic cotton, our Meditation Pillow will last for several decades offering optimal support and comfort on your spiritual path. 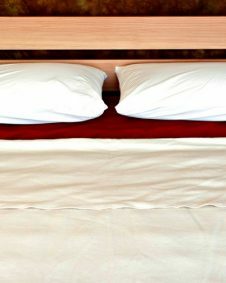 Pillow comes with a washable organic cotton cover with a button closure. Call for information on the various colors that we have available. All of our wool filled pillows are ideal for a healthy bedroom (or meditation room!). Wool reduces common allergens because it is naturally mold and mildew resistant. Wool quickly absorbs and releases moisture and thus, does not allow the damp conditions that mold thrive on. Other natural fibers, such as down and cotton, do not readily release moisture. Wool is also naturally fire resistant which means that all of our bedding is able to pass flame tests without the use of any added chemicals. Treat yourself or someone you love to a cozy wool Meditation Pillow!